We’re excited to announce the launch of The Allevi Academy- the first step in preparing today’s students for the regenerative medicine challenges of the future! We partnered with high school teachers, university professors, and educators across the world to produce the best, most streamlined and accessible curriculum possible to arm teachers with the materials and resources needed to introduce their students to bioprinting. Through our curriculum, students gain experience with cutting edge biotechnology, putting them light years ahead of their peers as they enter college and the workforce. According to the US Bureau of Labor Statistics, bioengineers hold the third fastest growing job in the United States, with a projected ten year growth of 61.7% by 2020. Our curriculum gives students a competitive advantage in this burgeoning field. The curriculum enables students to develop valuable skills across multiple engineering disciplines. Included activities incorporate coding, computer aided design, engineering drawings and 3D fabrication to produce innovative solutions for situations modeled after real life tissue engineering challenges. From designing and prototyping hydrogel wound coverings, to vascularization channels for organ on a chip applications, students learn to problem solve and think critically- skills that span way beyond the field of bioengineering. Check out The Allevi Academy and learn how you can prepare students for the future of STEM and provide them with the tools they need to tackle the challenges of the future! At Allevi, we’ve been accused of living in tomorrow’s world – and with the self-stated purpose of curing disease, eliminating the organ waiting list, reverting climate change and making life for humans on other planets possible, – it’d be a hard point to contest. We just can’t help ourselves. As kids, we grow up dreaming of the future we might one day find ourselves in, and in an inevitable sense, we all find ourselves in a future of one shape or another. But just where we end up tomorrow starts with the actions we take today – and when the future you want seems an impossible dream, you have to start somewhere. In New York City, the Science Adventure Kids are a precocious group of 5-12 year olds that could one day be tomorrow’s great doctors, engineers, and scientists. They are the ones who will inherit the future we’re building today, and the ones who will see it through to the next impossible possibility. Their classroom is a playground for curiosity – their teacher – Science Teacher Sarah, a real life Ms. Frizzle. There are fossils and planetary models, a small zoo with snakes and turtles, a dark room glowing in a perpetual light show, and even a small backyard (for “blowing stuff up” – of course.) Last week they explored the middle ages, today they’re getting a visit from R2D2 – it seemed only fitting that we’d find ourselves somewhere in between. Today’s 7-year-old is a technological marvel. In a world where many adults are just coming to grips with the possibilities of 3D printing to revolutionize human life across industries, there’s a kid in the room who’s already designed and printed his own NERF gun on TinkerCAD – much to Hasbro’s chagrin, perhaps. Here we are printing pediatric bronchi, layer by layer in a room full of Lego builders, and while one kid is particularly concerned we might start a fire, most look on with as much acceptance as amazement. “That thing is alive inside me right now? !” says one student looking at the squishy structure assembling itself on the plate, as others move in for a look. “Can you print a human? Can you print a clone of me now? Can we build a whole clone army? ?” Taking a step back, maybe. Pensive silence, if only momentary, then the promise of a robot army as a nearer possibility and the “oohs” and “ahhs” return, alleviating concerns that an exciting future is still close enough at hand. “Can I sneeze in the tissue?” A mix of laughter and a few thoughtful stabs at correction erupts. “Ear! Lung! Brain! Heart!” goes the chorus. Science Teacher Sarah demonstrates that she has asthma, for example, and that we could think about testing an asthma drug on her printed lung tissue. The children ask, if not a whole person which parts could be made? The ability to build living prosthetic structures from patient cells to replace lost limbs and other organs is a promising if still distant application to transform daily life for thousands of people. We say we hope we’ll be able to do it with biology in the future. Overall the session lasted about a half an hour, and tired bodies slowly began to flop about the floor to process these latest developments. In an industry just in its nascence, with the potential to revolutionize human life across many industries, these children and their generation will be the ones to reap it’s greatest rewards. For now we were happy to leave them with a smile. Happy Holidays from the A-Team! Did you hear our good news? Mary Shelley published her magnum opus, Frankenstein, in 1818. It was at this point in human history that the burgeoning scientific revolution of the 19th century ushered in one of the most awe-inspiring eras of progress and innovation the world has ever seen, which culminated in the consummate fruition of the industrial revolution. Through her seminal work, Shelley attempted quite successfully to represent the collective human terror in the face of unprecedented advances in the fields of science and industry that revolutionized classical conceptions of reality and the relationship between man and machine. Technological innovations such as the steam engine and textile factory began to modernize industry and commerce, and people saw their lives assume a far from blissful coexistence with many of these unknown and complicated machines. Essentially, man witnessed the true union of technology and human life for the first time on a mass scale, and initially reacted with a mixture of skepticism, confusion, and cautious curiosity. Here at Allevi, we are looking to once again amalgamate human life and technology through our innovative biological 3D printing process. By 3D printing biological structures from mass produced and cost effective biomaterials, we envision a world where man and technology will coexist in a blissful harmony. The Allevi team and our partners are embarking on printing structures that may serve as the remedies to a plethora of debilitating conditions that weaken the natural human condition, and, ultimately, improve human life. Fact: We, as a society, are currently standing on the forefront of one of the most explosive eras of discovery and progress the world has ever seen. All it takes is a spark, and here at Allevi, we aim to not only kindle this spark, but also to engineer the circumstances and support the community in which it can grow and thrive. What is 3D Bioprinting anyway? We’re here to explain! Mother Nature is a master engineer. Through years of evolution, it has fine-tuned the relationship between structure and function for all organisms. By turning to nature for inspiration, scientists, builders, inventors, and thinkers have improved the lives of individuals every since the dawn of mankind. Here at Allevi, there’s one aspect of biomimicry that we’re particularly interested in: regeneration. A significant number of today’s biologists and bioengineers have been hard at work trying to understand the ability of animals likes starfish and geckos to regenerate lost tissue. Many experiments have been done in this field of regenerative medicine; using stem cells, biocompatible materials, and cellular scaffolds are commonplace approaches. By synthesizing these technologies with 3D printing, we’re able to imagine a future where a damaged heart valve can be bioprinted and implanted into a patient—perhaps all in one doctor’s visit. And more. The idea of regeneration stems all the way from ancient Greek mythology, in the legend of Prometheus. After being banished for aiding mankind, the immortal god was chained to a rock where an eagle ate away at his liver each night. The liver would continuously regenerate by the next day, thereby extending Prometheus’s punishment. We’re interested in the regeneration part. Of course, modern applications aren’t so gruesome. But the ancient Greeks were onto something when they named the liver “hepar,” meaning “to repair oneself.” Modern-day science has shown that the liver is the only organ that can spontaneously regenerate itself after injury. History shows how the promise of regenerative medicine has grown. By the late 16th century, tissue grafting became established. And now, surgical implants, skin grafts, cell therapy, bone marrow transplants, and tissue engineering are regularly used tools in regenerative medicine. There’s a lot that we can learn from nature. Take, for example, something simple like Velcro. The design of Velcro mimics the morphology of burs, which have small hooks that naturally latch onto fibrous surfaces. Similarly, Leonardo da Vinci’s design for a flying machine was closely based on the wing structure of bats. There are countless examples of technologies that mimic what happens in nature, from the molecular scale to the macroscopic. Our hope is to help mimic what Prometheus, starfish, and geckoes do. 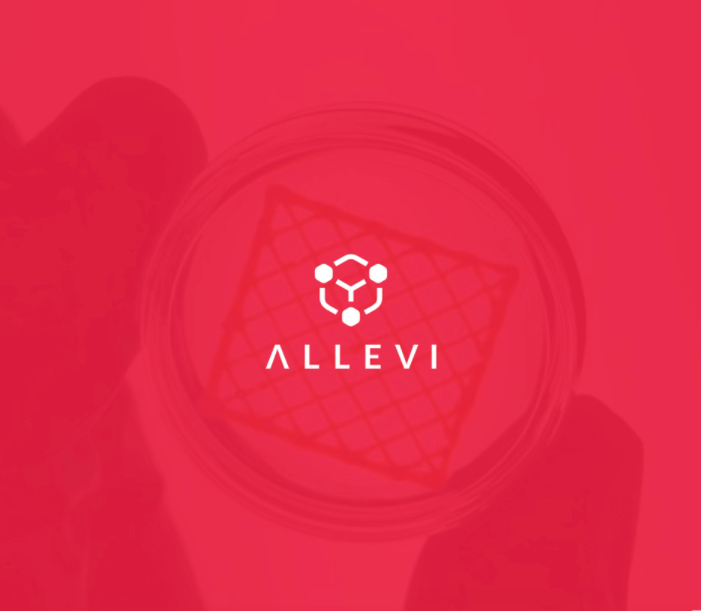 By taking a cue from their ability to regenerate lost or damaged tissues, Allevi aims to provide an intuitive platform for designing, redesigning, building, and rebuilding 3D biological structures and devices—that is, to spearhead a new age of rapid bio-prototyping. We’ve talked about what bioprinting entails in general. We’ve touched on the types of cells that we can incorporate into bioprinted constructs. We’ve also discussed the potential of this technology to create novel chimeric structures and compared 3D bioprinting to plastic 3D printing. It’s now time to talk about another critical component in all of this: biomaterial formulations that will provide the scaffolding for the cells of our engineered constructs. A recent paper titled, “Engineering Hydrogels for Biofabrication”, published in Advanced Materials in 2013 did an outstanding job discussing the state-of-the-art in the field of biomaterials. In this post, we attempt to summarize their work in the context of our own efforts at Allevi. Biomaterials form the scaffolding which supports cells and growth factors during their delivery to damaged tissues and organs. As mentioned in previous pieces and in what will be the subject of a piece coming out later in the week, the 3D environment of the cells is vital in helping maintain cell morphology, differentiation state, and activity. Unfortunately, the 3D scaffolds that have been used in most existing work offer limited spatial control of the cells, ECM, and growth factors encapsulated within them. This is where the additive manufacturing technique of 3D bioprinting comes in to offer the potential of much greater spatial regulation and the ability to design more physiologically accurate tissues. That said, we are still limited in the resolution we can achieve with 3D printing techniques - something which we, at Allevi, are striving to change. Some factors must be considered when attempting to increase the resolution, i.e. the minimum distinguishable structure size, we can achieve: the viscosity of the solution being printed, the size of the nozzle of the printer head, the speed at which the solution is dispensed, and how the solution undergoes the change from liquid to gel state. Cells experience shear stress as they are ejected through the nozzle and work remains to be done to determine the maximum shear stress cells can withstand while remaining viable. This will help us determine how small the size of the nozzle can be through which cells are being extruded. Shear thinning is an interesting material property of some hydrogels in which the shear causes the polymer chains to elongate and reorganize into a less entangled conformation, thereby reducing the viscosity of the gel as the shear is applied. In essence, the more the shear, the more easily the gel can flow. An important consideration is how we can crosslink gels to form stable structures that retain their 3D conformation. Harsh chemical treatments and heat are not feasible when considering gels encapsulating cells, since cells are unable to tolerate these conditions. Increasingly, the focus has been on using ionic crosslinking and photocrosslinking to promote gelation. These techniques will be featured in future posts. So having considered some of the parameters important in choosing a biomaterial, let’s discuss some commonly used bio-ink. There has been a tendency to favor naturally derived polymers such as alginate, gelatin, chitosan, collagen, fibrin, and hyaluronic acid. These polymers have bioactive signals which allow for improved cell viability and proliferation potential. However, the biggest challenge remains the variability between different batches of naturally derived polymers, making it difficult to control experiments with them. This has led to the use of synthetic polymers such as poly(ethylene) glycol (PEG), which allow the creation of highly precise, stable 3D structures but offer lower cell viability due to the absence of bioactive signals. Such signals (peptide sequences and growth factors) must be incorporated into these networks to try and recapitulate the characteristics of natural polymers. Combinations of synthetic polymers, such as PEG, with rigid fibers such as those of polycaprolactone (PCL) may allow for improved structural stability of the constructs. An important point to note is that the degradation process of these two different polymers must be finely tuned so that the hydrogel construct dissolves away as cells start depositing ECM and proteases and other enzymes degrade the gel components, while the fibers retain their position for longer to continue offering the mechanical support to the cells. So what are some of the challenges we face when it comes to picking the right bio-ink? Well, we have yet to design one which mimics the ECM closely enough. We need to balance the need for structural stability with the requirement for cells and signals to communicate with each other via diffusion and other transport mechanisms through this matrix. We also need to be able to reproducibly manufacture and assess these constructs (could a 3D bioprinter be the answer to this?) and design a range of materials matching the enormous diversity of scaffolds that support the many different cell types in our body. Our New Sterile GelMA is Awesome!